A historic international varietal that expresses the unique and persuasive character of the Mediterranean. Sambuca di Sicilia, in the province of Agrigento. It prefers drained terrain with little sunlight in order to protect the delicacy of and fragrances of its fragile bouquet. The type of farming is “Espalier”, used with an average density of planting where there are 4500 plants per 2.5 Acres. 100% Merlot. It is a varietal that matures around the middle of September. Collected from the grapes of perfect phenolic and aromatic maturity. De-stemming and alcoholic fermentation with the skins occurs at 26 degrees for 10 days. Malolactic maturation occurs with selected bacteria, then finally maturation for 10 months in French barriques that are at least 2-3 years old. Color: Ruby red with slight reflections of violet. Bouquet: Ample and intense, with aromas of red ripe fruit like cherries, raspberries, and blackberries with nuances of red fruit marmellade. It is surrounded with spicy notes that are derived from the aging in wood. Flavor: If is a medium bodied wine that expresses a covered softness and very soft tannins. Pairs well with seasonal cold cuts, vegetable soup, grilled meats, roasts, boiled meats and savory cheeses. 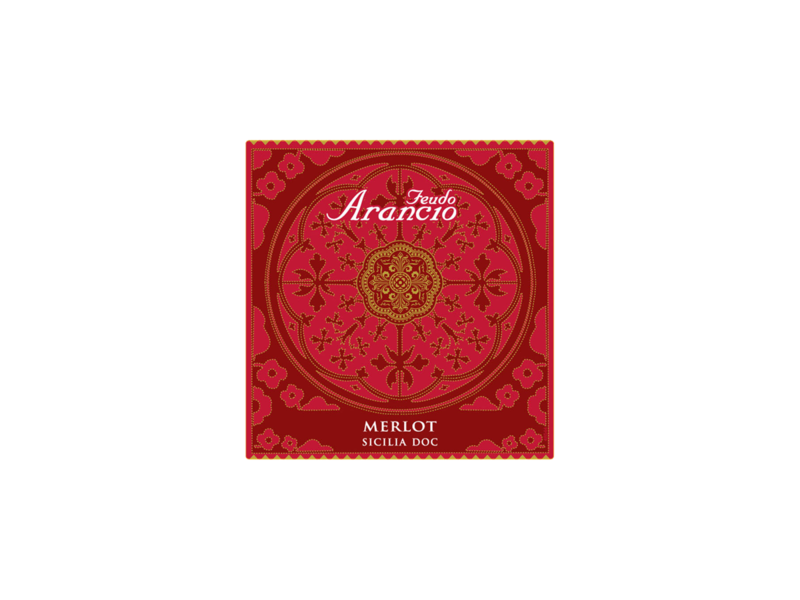 Its delicate structure and the light character of fragrant fruit makes the Merlot the ideal companion for a dish that would ordinarily not be easily paired like a timbale of tagliolini and artichokes.